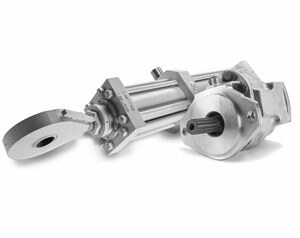 Hydraulic pumps are an integral part of many marine operations. The unforgiving environment on the high seas requires heavy-duty equipment to be reliable. Many key aspects of operations in the marine industry, such as deck machinery and marine propulsion, use hydraulic pumps and cylinders. Companies in the marine industry need reliable hydraulics to control costs. Perf/Hyd is the hydraulics expert. Perfection Hydraulic’s quality meets the standards set by the US and NATO militaries, so we can create hydraulic pumps and cylinders capable of withstanding nature’s most unforgiving forces on the open seas.